The church of All Hallows by the Tower, the subject of yesterday’s blog, was originally founded in the Saxon period as an appanage of Barking Abbey, hence its alternative name of All Hallows Barking. 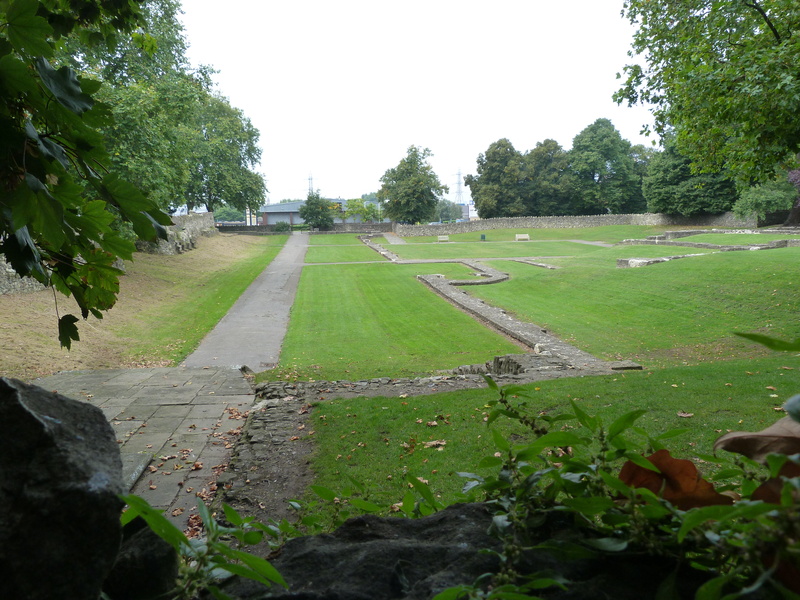 Barking Abbey itself was originally founded by Erkenwald for his sister Ethelburga in 666, and later richly endowed by the East Saxon royal family. It was then destroyed during a Viking raid in 871; rebuilt, and refounded by Dunstan, Archbishop of Canterbury, as a Benedictine nunnery, rather than monastery/nunnery, in the tenth century; and rebuilt again in the twelfth (having in the interim temporarily been used as a residence by William the Conqueror while he was waiting for the Tower of London to be built in the late eleventh). 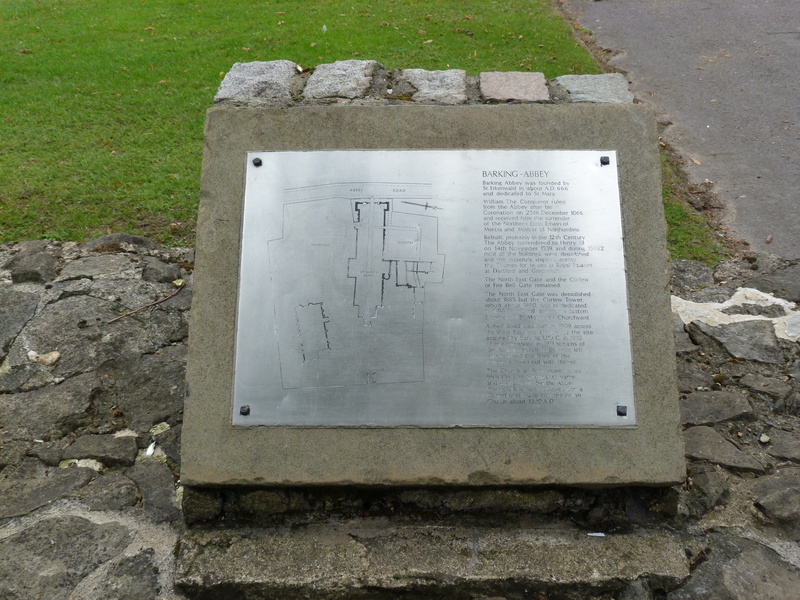 It was finally dissolved by Henry VIII in 1539, at which time it was one of the most important – and either the second or third richest – nunneries in the country, housing thirty nuns, and presided over by Abbess Dorothy Barley (previous abbesses included numerous saints, queens and princesses, as well as Thomas Becket’s sister Mary in the late twelfth century and Geoffrey Chaucer’s kinswoman Elizabeth in the late fourteenth). 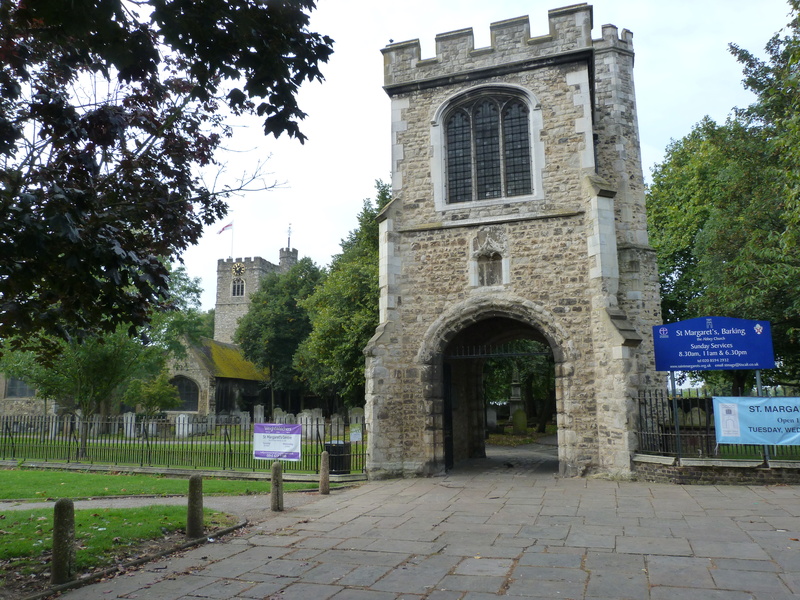 Most of the buildings in the abbey precinct were demolished at the time of the Dissolution, but the thirteenth-century Chapel – later the Parish Church of St Margaret – and the fourteenth- to fifteenth- century Curfew Tower still survive. The twelfth-century stone rood that is now housed in the Curfew Tower was apparently an object of veneration and pilgrimage in the early Medieval period. This entry was posted in Far flung London, London churches of note outside the City of London on January 5, 2015 by Bob Jones - The Lost City of London. I am so glad that I came across this blog, as I am a medievalist, who grew up outside of London, but still doesn’t know much of the city’s medieval origins. Last year, I went on a mission to find medieval Paris, but I have been struggling with finding medieval London. I followed this blog, so it will help me with that. Soon, I am hoping to write a bit about the medieval aspects of London in my history blog soon. 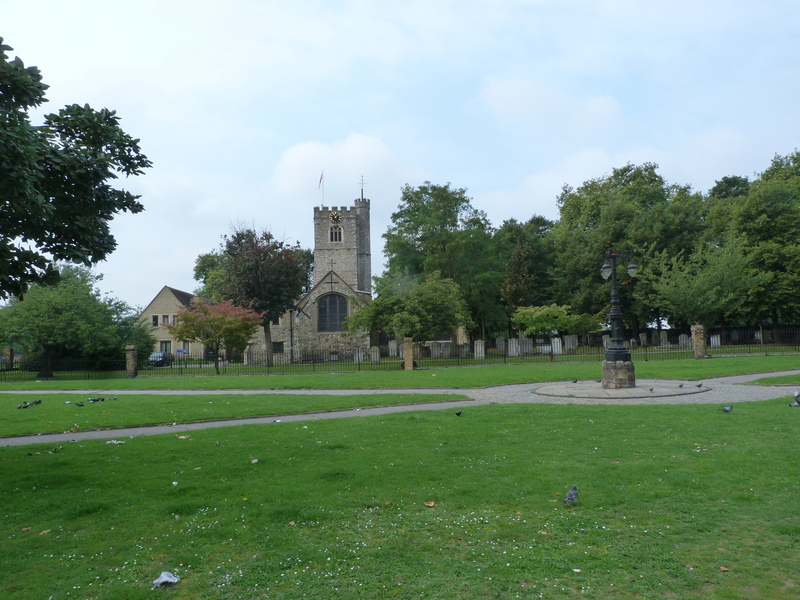 This post is great, because I didn’t even know that Barking had an abbey in the Middle Ages! It has given me inspiration to research more into it, and to re-starting hunting for medieval London soon. Thanks for a great post. Looking forward to learning more about the Lost City of London! Thanks for your comments, and kind words. If you’re interested, there are more blogs on Medieval London elsewhere on this site, which you can track down using the “select category” option. Sitting here in absolute awe….these buildings hold so much history, thanks so much for sharing! !